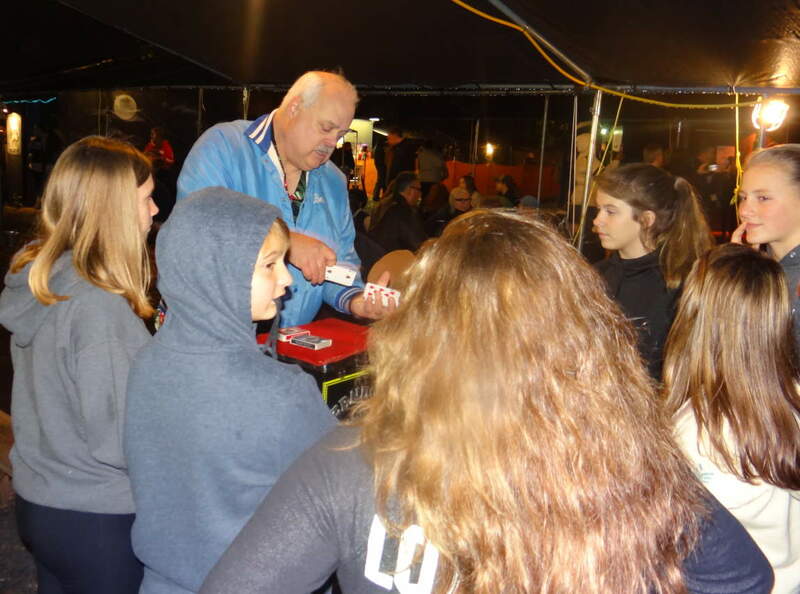 Close-up magic is performed in front of small groups. How close? So close magic can happen in an observer’s own hands! I make magic with common items like coins, balls, paper, rope or cards – which produces an uncommon sense of wonder. Once experienced, many consider Close-up their absolute favorite type of magic. I’ve performed close-up magic for years in a wide variety of venues. In a restaurant setting it’s called “table to table magic” or “walk around magic” for an event. If performed where event participants tend to form large or small groups, perhaps waiting in line, I approach them. I can entertain from 1 to 25 people at a time. But if your event has attendees “on the move,” such as a street fair, I often set up in a single location. And here’s a bonus you won’t find with other magicians! I successfully entertain very young kids, age 2 and up. Young ones get to be the star and do the magic! It’s so memorable, children will talk about this for months! But no matter the audience, reaction to my close-up magic is so positive, I’m asked back year after year to the same events. I perform by the hour as needed. On the day of my show, I gauge how best to maximize its impact for your event. I can be set up in less than 5 minutes, inside or out. All you need to do is supply the audience! Prices start at $97 the first hour and $57 every hour after that.